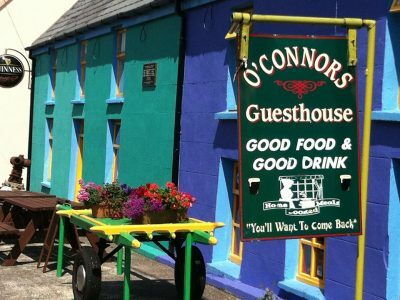 Experience a little bit of heaven in the Kingdom at O’Connors Bar and Guesthouse. 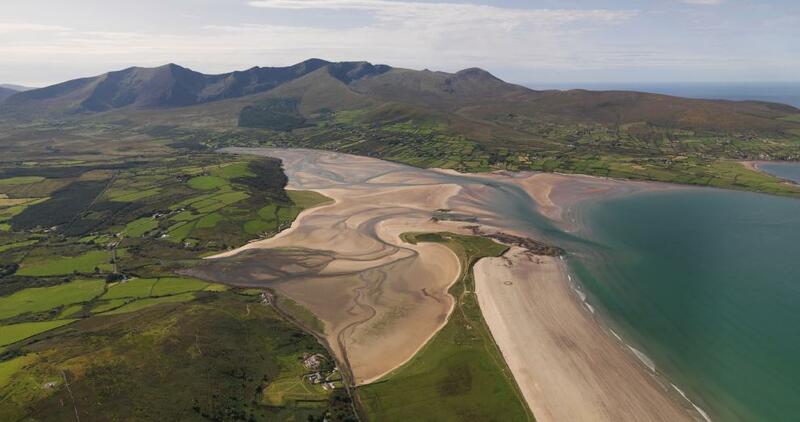 We are located right along the Wild Atlantic Way and on the foot of Mount Brandon. There are a range of activates in the locality to cater for all tastes including long, sandy beaches and a numerous walks and hikes. 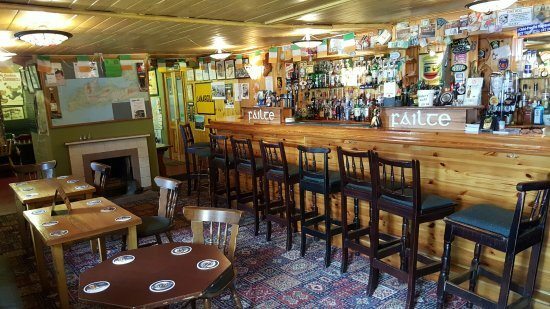 Here at O’Connors, our guests can be guaranteed a 'Céad Míle Failte!' with music, home cooked meals and comfortable, clean rooms after a long day exploring the beauty of Chorca Dhuibhne. O’Connor’s Guesthouse is one of the oldest Guesthouses in Ireland serving their first customers in the 1860s. 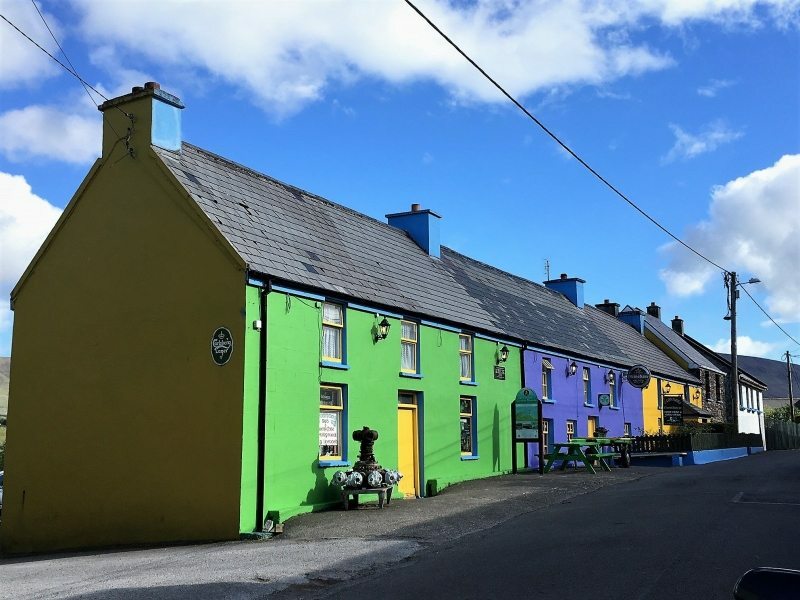 Located on the Wild Atlantic Way, the guesthouse is at a prime location to explore the famous and more hidden gems of the West Kerry area. O’Connors Bar and Guesthouse is located at the foot of Mount Brandon, Ireland’s second highest peak so why not ‘Start From The Shore’ and follow the steps of Saint Brendan the Navigator as he ascended the peak roughly 1,500 years ago. Once you reach the top you will be greeted with magnificent scenery of the Dingle Peninsula that captures the essence of the Wild Atlantic Way. 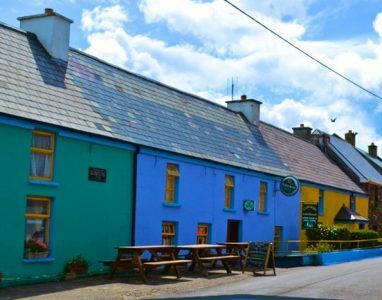 We are also a main stop on the world famous Dingle Way long distance walking trail that passes our door. The parish of Cloghane and Brandon is a quintessential example of rural Irish life and gives our visitors a chance to unwind and experience the slower, more relaxed pace. Nature surrounds you as you stand where the mountains meet the sea, with locals living off the land for generations past. O’Connors bar and guesthouse aims to offer our guests a chance at experiencing rural Ireland. 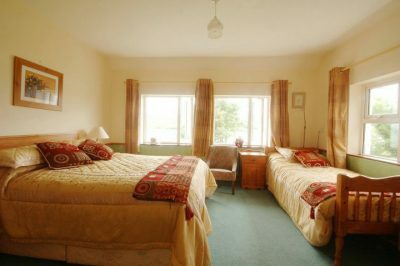 We offer a range of accommodation, including ensuite rooms, self-catering houses and camper van facilities.